This universal Emergency Stop switch also doubles as a convenient stop button. There is 2 ways this switch stops your motor. 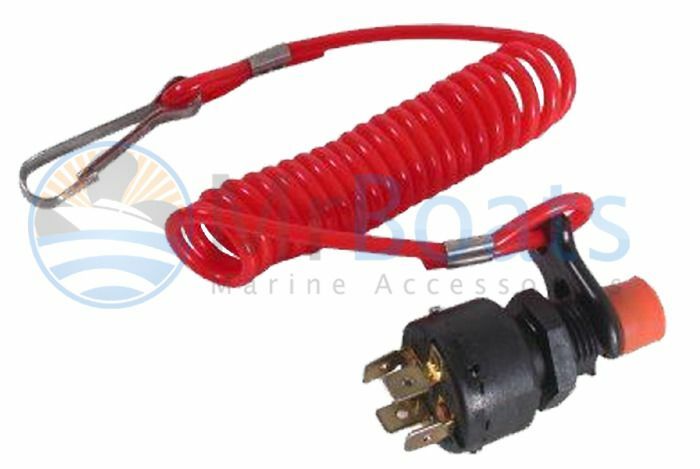 The emergency lanyard if pulled off will stop your motor or you can press the orange rubber boot manually to stop the motor. By pressing the button you’re eliminating having to place the kill cord lanyard back onto the switch. This secondary stopping method is much more user friendly in normal operation. Not all emergency switches do this.